This mare combines the bloodlines of Peptoboonsmal on TOP & BOTTOM. On top she is has PEEKA PEP (out of Royal Blue Boon X Peptoboonsmal), MISS CHICKASHA by CHICKASHA MIKE (NCHA open world champion stallion), SMART LITTLE LENA, PEPPY SAN BADGER, and Doc Bar. On her dams side Lily has PEPTOBOONSMAL, BOON BAR, & DOC TARI. 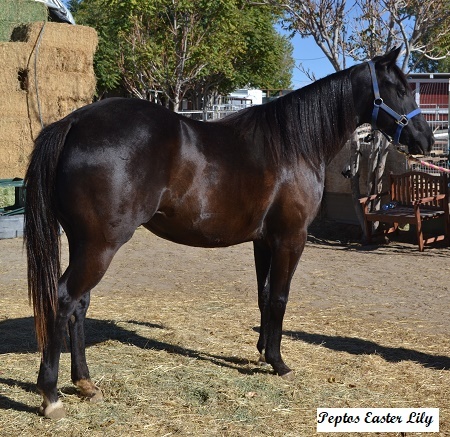 Lily is a beautiful, athletic mare with an amazing stop! She has 30 days training under her and knows a balanced walk/trot/canter, circles both directions, knows the beginnings of roll-backs & spins and has never offered to buck/rear/kick. She is a smart mare and is very eager to learn. Picks training up that same day. Great in the arena or out on trails, she has never spooked. 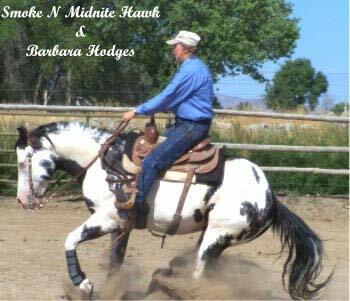 This mare has absolutely no vices and stands perfectly for everything. Peek A Boon is by the Hall Of Famer Smart Little Lena, Peeka Pep is by the Super Stallion PEPTOBOONSMAL (offspring $ 12,000,000.00) and out of one of Royal Blue Boon's best fillies, PEEK A BOON. 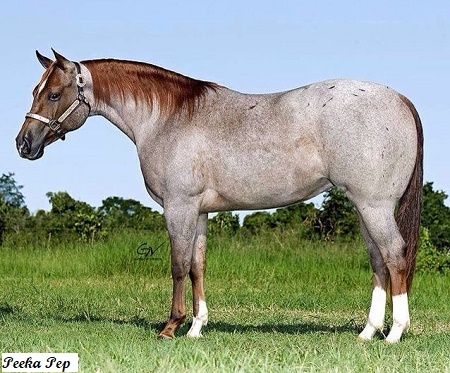 Peeka Pep's bloodlines also represent one of the best crosses for Peptoboonsmal â€” which is on SMART LITTLE LENA mares. Peeka Pep is only Peek A Boon's 3rd of 4 foals with the other 3 combining to win over $300,000 with just limited showing. Peeka Pep is a double bred ROYAL BLUE BOON stallion and has this legendary mare as both maternal and paternal 2nd dam. Peeka Pep possesses one of the most unique and exciting Bloodlines in the business. and had career earnings of $78,851.